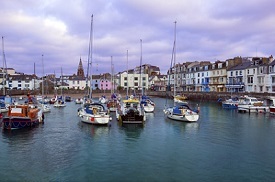 Ilfracombe has been settled since the Iron Age, and its rich history leaves plenty of landmarks to view. You can stroll along the residential areas to view the unique architecture, visit the old churches, or even visit the lighthouse atop Lantern Hill, which was constructed as early as the mid-17th century. Throughout the year, there are several cultural festivals held in the city, and also plenty of art galleries to visit.